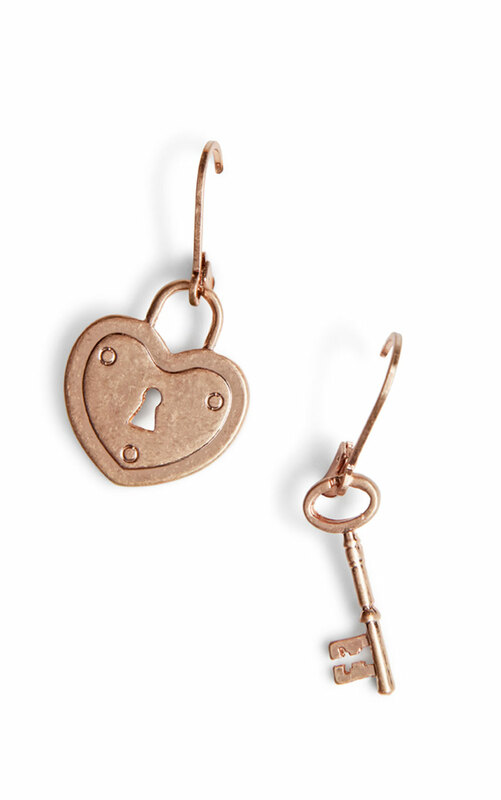 These charming earrings tell a story with one heart-shaped lock and one delicate key. Pair the Lock and Key Earrings with the matching necklace for a complete set of vintage-inspired jewelry. Made in China. Not intended for children under 15. Loving the Lock and Key Earrings? Share how you’re wearing it on Instagram, and browse through all the inspired ensembles for fresh ideas.